Have a Disaster in Your Home? Or, are you a professional contractor? Whether it’s caused by a broken kitchen pipe, a flood, or sewer backup, water damage is the most common form of property damage. It can also be the most destructive. At DKI, we provide emergency restoration services within two hours of your call. Our experts use industry-proven water mitigation and drying techniques along with top-of-the-line equipment to restore your home or business. Experiencing a house fire is traumatic; the damage it causes, though, can make it feel like that trauma is haunting you. The fire damage restoration contractors at DKI will respond to your call within two hours to assess the damage. From there, our experienced team will implement a plan to restore your home. Our disaster recovery team at DKI is industry-certified to provide quick, 24-hour response to damage caused by a storm’s violent winds, torrential downpours and destructive lightning. We’ll minimize the damage and secure your property to lower your repair costs and limit the contents damage of your home or business. Mold, asbestos and other hazardous materials create a toxic environment that can make you and your family severely sick. Our team at DKI has the knowledge, training and experience to fix these environmental hazards so your whole household can breathe easier. During our assessment, we’ll also identify any other areas of your home that are at risk of these hazards to ensure all are treated. When hospitals or medical facilities are hit by a natural disaster, they require a specialized response team that can contain and control infectious diseases throughout the restoration process. At DKI, we’ve partnered with Gearhart & Associates, LLC to ensure our infectious disease control teams have all the training they need to do effective work while keeping themselves and others safe. DKI has teams in over 500 locations throughout the United States to ensure we can dispatch one of our 24-hour response teams anytime, anywhere. Not only will our licensed contractors keep you informed every step of the restoration process, we’ll also work with your insurance company to ensure you get the coverage you need. Our DKI teams can assess the damage done to your personal items, whether caused by a natural disaster or hoarding, to help you identify what is salvageable and provide you with high quality restoration services. We’ll keep you updated on the status of your items as we clear out, clean, and treat your personal items with care. The professionals at DKI can remove trees and shrubs on a wide range of property sizes. We also offer post-removal services to help restore your property’s landscape. Whether your tree is rotted, fallen, or infested, we’ll clear it out in no time. DKI Services is the largest disaster restoration contracting organization in North America. Providing quality restoration services to commercial and residential clients 24 hours a day, 365 days a year, DKI returns damaged property to its pre-loss condition quickly and efficiently. 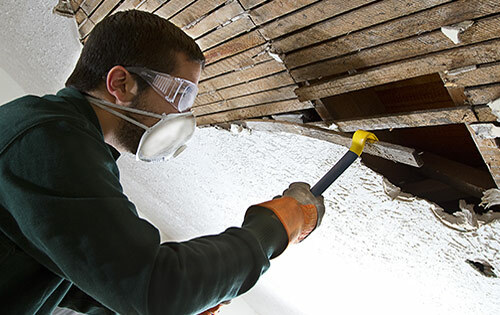 Our services include: emergency response, water damage mitigation, fire and smoke cleaning, mold remediation, complete reconstruction and much more. If you own, manage or lease property, DKI is your go-to team when you need help after an emergency.